Enabling business agility for enterprise applications has been a challenge traditionally because of the silo-ed way in which infrastructure is typically organized. Dynamically managing or automating an application requires orchestrating a number of different infrastructure management systems, many of which are not in the control of the application owner. C3DNA offers a unique approach to business agility through a top-down application management and automation approach driven via policies that is different from the traditional approach that relies on VM or infrastructure orchestration. The platform uses its Meta-Container and Application Area Network technologies to effectively decouple application management and orchestration from the management of underlying infrastructure. With the platform, developers, application owners and business managers can dynamically apply new policies and ensure that applications are always delivered with the desired QoS requirements without the need to manage the underlying infrastructure. What Enterprise Line-of-Business Managers and Application Owners desire and need most is end-to-end visibility of their applications performance and operational characteristics regardless of the infrastructure on which their application run. 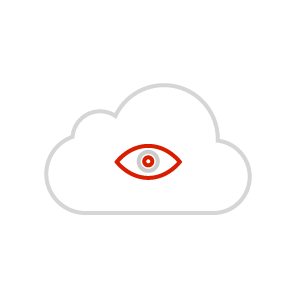 Unfortunately this type of visibility is hard to get because it requires compiling data from dynamic distributed infrastructure environments and network security management systems that could be managed by different IT operations teams or even service providers. C3DNA takes an approach that involves top-down monitoring of the entire application workflow. This application-specific information is collected from each application component or node comprising the whole workflow independent of the infrastructure it is running on. Information collected from each application component can then be aggregated or correlated to support application monitoring, visibility and automation needs. With C3DNA Application developers, owners and business manager can each get a customized end-to-end, app-centric or transaction-centric view of resource usage and performance metrics in real-time. Applications that have been painstakingly built, deployed and managed over the years on custom infrastructure are often referred to "Pets" whereas cloud-native applications that have been designed to be stateless for the dynamic "here now, gone next minute" cloud infrastructure are referred to as "Cattle". A lot of debate persists on OpenStack's ability to support "Pets" versus just "Cattle". With C3DNA enterprises can deploy and manage all application types across their OpenStack cloud. Existing scale-up systems and traditional database workloads requiring application level fault-tolerance and high availability can be migrated in a policy-full manner. These workloads can then be managed across any distribution of OpenStack with application level policies to achieve the required application resiliency and fault tolerance. New sophisticated cloud-native business applications can be easily composed and non-functional requirements introduced without the application needing any specialized knowledge of these features by attaching to simple and reusable architectural patterns to enable Horizontal Scaling, Application HA/Fault Tolerance, Multi-DC Disaster Recovery, Application-level Security and Geo-Fencing policies.